Our family went through an entire school year eating oatmeal for breakfast every single morning. Somewhere around the 342 day mark, the wee ones began refusing my tenderly prepared, hot breakfast filled with love. Around day 343 we went back to our old standby. Cold cereal. As a result, we've entered into a whole new level of rice milk consumption. Our favorite rice milk product is Organic Rice Dream® Original Enriched rice drink. It's smooth with a low key flavor. It doesn't have funny chunky stuff floating around, thank heavens. And it's enriched with the same vitamins and minerals normally found in cow's milk. It's a nice way to get extra calcium, Vitamins A, D and B12 into our dairy-free diet. They sell it in shelf stable 32 oz boxes that are perfect for taking on trips and going camping. We go through so much of this stuff that the refrigerated 64 oz option found in the dairy section of the grocery store is really convenient and delicious. 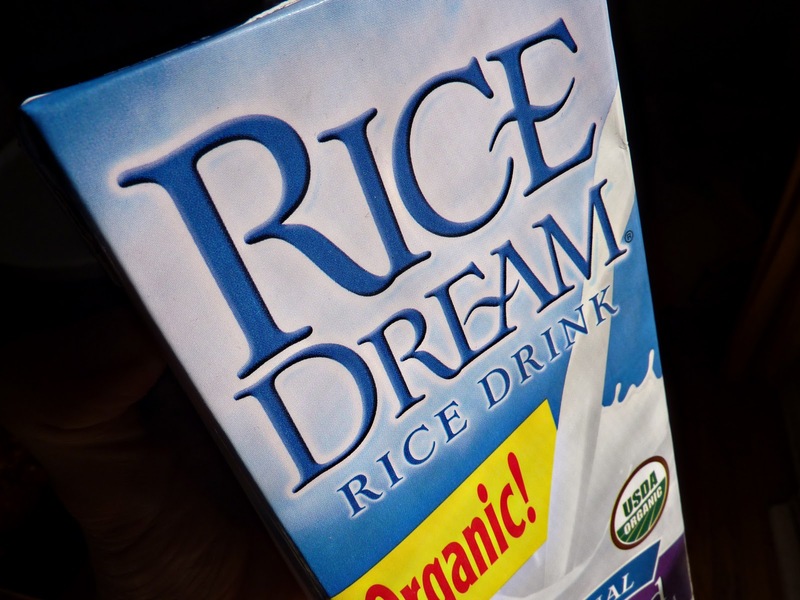 Rice Dream® also makes frozen non-dairy deserts—aka ice cream—that are divine. But that's a different post for a different day!